I love the way the roofs keep going higher and higher. 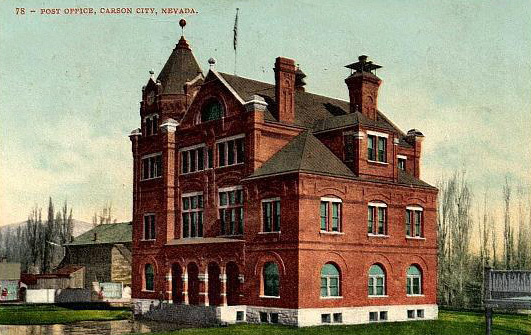 What a fun building. 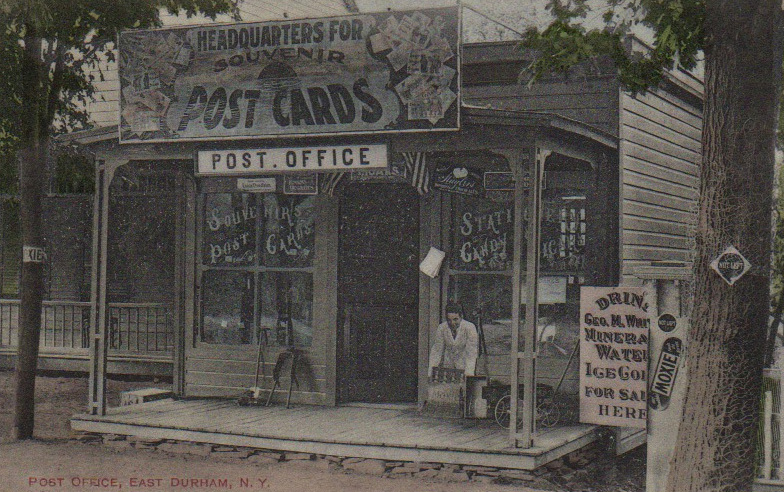 The post office in St. 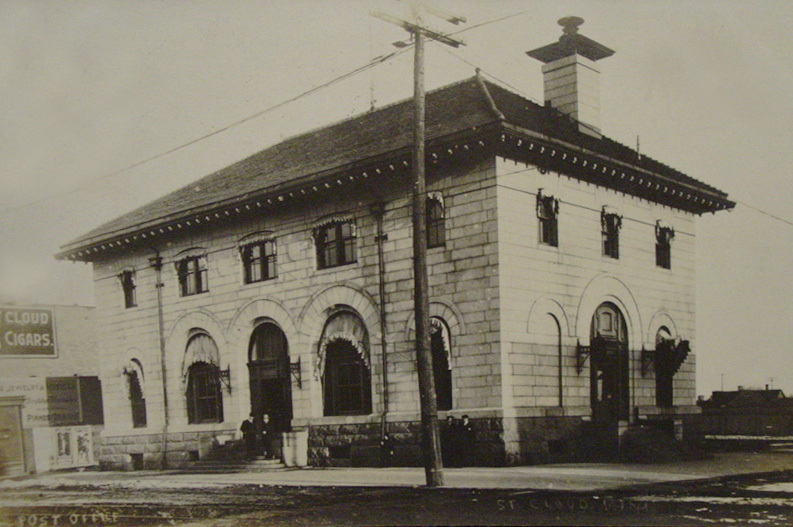 Cloud, Minnesota, built in 1902-1903, was moved four blocks down St. Germain Street in 1937. 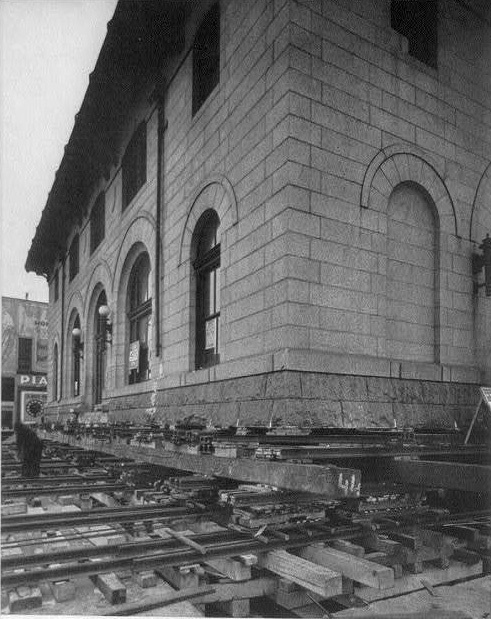 To begin, a crew of 40 WPA workers, using more than 400 jacks, each given just a quarter turn at a time to keep the building level, lifted the 2,500 ton granite building off its foundation. 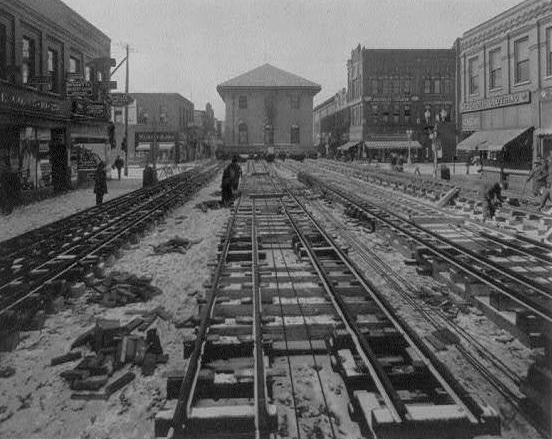 It was then mounted on rails and moved down the center of the street. It began its slow journey on February 15th and arrived on April 1st. You can see film of the move here and read a longer piece here. 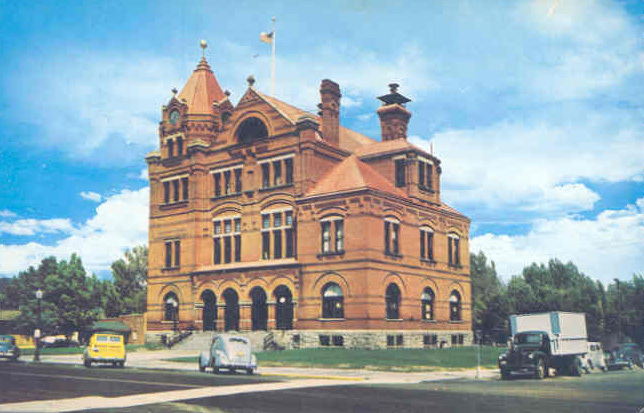 A new post office was built on the original site, and the old post office became a larger city hall for St. Cloud. 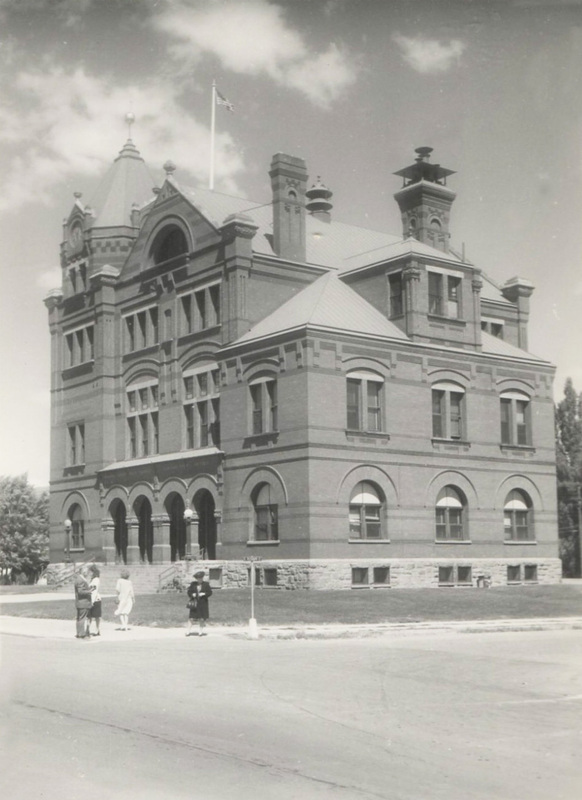 Sadly, the building was demolished in 1986. 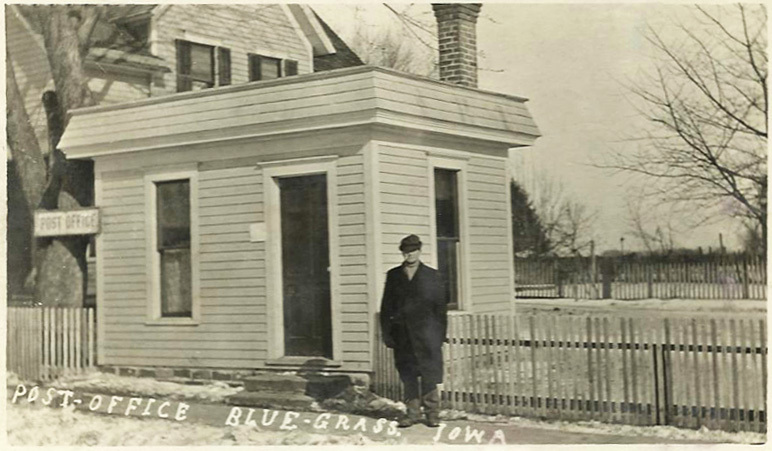 Be it ever so humble: the post office and post man in Blue Grass, Iowa. Here’s a post office that has marketing all figured out.